The risk of injury from a car accident is an inescapable fact of life. If you can’t work, do daily chores, or care for yourself and family, the impact can be heartbreaking. To protect yourself, be sure to have the proper insurance coverage in place. In Ontario, all motorists are required to insure their vehicle as a condition of driving. A typical automobile policy consists of two parts that deal with injuries. The first provides coverage to protect you against claims from crashes you might cause or contribute to, and it is called “liability coverage.” The second provides you with some basic assistance in the event you are hurt in a crash, and it is called “no fault” or “accident benefit” coverage. Touching on the liability portion first, the minimum amount of coverage you are required to carry in Ontario is $200,000. Considering the serious injuries that can result from a car crash, $200,000 doesn’t adequately protect against potential losses. Liability coverage also has a second function, and that is to protect you and your family from an inability to collect damages if the “at fault” party does not have adequate insurance. This problem is a real risk when one driver causes a collision that injures more than one person or involves a number of vehicles. For example, if four or five people are all making claims against a $200,000 policy, there might not be enough funds to cover everyone’s losses. It is for these reasons that the majority of Ontarians choose to have $1,000,000 in liability coverage. The good news is that $1,000,000 isn’t that much more expensive than the minimum coverage of $200,000. The bad news is that while there are fewer car crash lawsuits in Ontario, the ones we are seeing tend to be for greater damages. 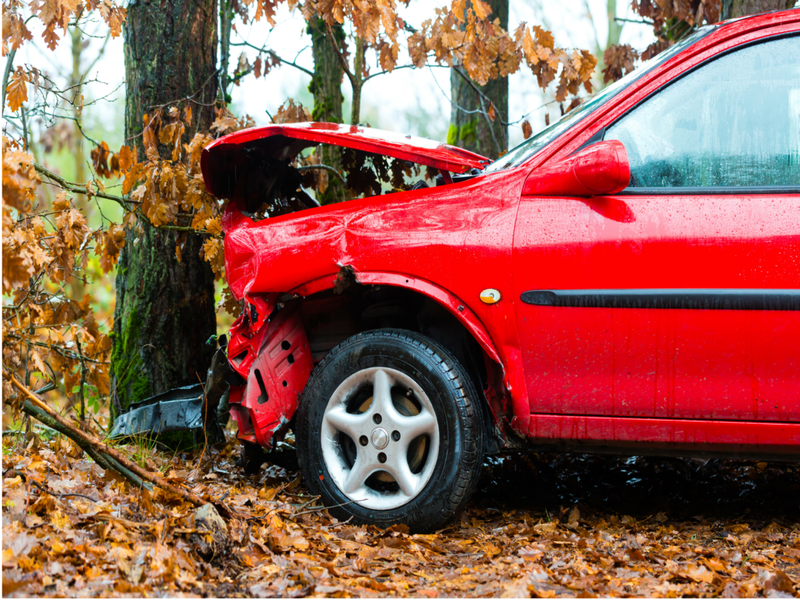 It is not unusual to see a car crash injury claim that exceeds $1,000,000. In order to properly protect yourself and your family, it may be wise to consider a policy of $2,000,000 or more. The price increase is modest, and if you or a loved one are badly injured, or if you cause a collision, the greater protection can make the difference between disaster and successful recovery. In addition to liability coverage, accident benefit coverage will replace a small portion of your income and will provide limited medical and rehabilitation assistance if you are injured in a crash, no matter who is at fault. Also, a number of enhancements are available which would allow you to recover more lost income, hire help for household chores and for your loved ones, and increase the amount of funds available to provide treatment. There are many upgrades available, and the pricing varies, but it’s important to know that enhanced accident benefits can be purchased. It is particularly crucial to explore these options if you have an above-average income with no disability coverage from employment, or if you have a number of people dependent on you. Please remember that while everyone is required to have auto insurance, the same insurance is not right for everyone. You and your broker need to take time to ensure coverage is customized to your needs, properly protecting you and your family. A great article from Russell Howe LLB is a lawyer with Boland Howe, …. The advice offered in this column is intended for informational purposes only. Use of this column is not intended to replace or substitute any professional, financial, medical, legal, or other professional advice.